The tax amnesty of Equitalia was introduced by the tax decree linked to the Budget Law 2017 and has provided for the possibility for taxpayers, citizens and businesses, to use the cd. cancellation of interest rates, that is, a measure that allows the State to recover at least € 4.5 billion and to families, businesses and companies, to cancel Equitalia debts, benefiting from a substantial discount on the amount. 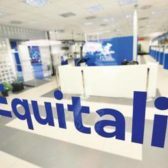 According to the new Budget law 2018, the government has re-established the so called the tax amnesty of Equitalia even if in fact it would be better to call the measure as a facilitated definition of tax and social security contributions better known as the cancellation of interest of Equitalia. The law of 2018 brings an important novelty: taxpayers who have not completed the obligations for the amnesty, have the possibility to get in order and to access the facilities provided for the interest cancellation of 2018: payment of the registered debt without penalties or interests. The taxpayer who failed to pay the instalments in July and September have the possibility to be in compliance with the payments by December 7, 2017. This allows the subjects who didn’t pay for various reasons to be re-admitted to the Equitalia amnesty. The Law provides the possibility to access the amnesty for debts for which the membership application was rejected because of the regulations related to the payment of installments expiring on the 31/12/2016 of the deferment plans in place as at October 24, 2016. This option may be exercised by the taxpayer by submitting a specific application to the collection agent by December 31, 2017. Without the payment one cannot proceed with the amnesty. Possibility to request the Equitalia 2018 tax amnesty for the loads entrusted to the collection agent from January 1, 2017 to September 30, 2017. Therefore, for all the notices between January and September of this year, it is possible to adhere to the new interest cancellation by presenting the request for the second-term interest cancellation by May 15, 2018 and by paying the amounts condoned in up to 5 installments, the first to be paid by July 31, 2018 and the last one on February 28, 2019. The cancellation of interest of Equitalia is the possibility granted by the State to taxpayers, to be able to request the facilitated definition of debts registered in the role of the collection agent and Equitalia, today Ader, Revenue Collection Agency, notified from January 1, 2017 to September 30 2017, but not paid within the usual 60 days. Through this facilitated definition, also called Amnesty of Equitalia, taxpayers, families, companies, businesses and professionals, have the opportunity to cancel their debts, paying the instalment without interest, penalties and fines, except for traffic tickets that benefit only from the amnesty on interest and surcharges. Regarding the traffic fines, in addition to the basic amount, the debtor must pay the collection fee and any costs for the execution and notification of the folder. Additional amounts due to social security contributions. All taxpayers who have requested the rescheduling of payments, provided that they are in compliance with installment payments. In these cases, the Agent will recalculate the amount of the new amnesty, taking into account the amount already paid as capital and legal interests, fees and expenses for ratification and notification. Through the Equitalia amnesty, therefore, all these taxpayers have the possibility to remedy their debts, that is, to cancel the interest rates, paying the debts without penalties and interests while the premium calculated on the capital is due. In other words, thanks to the Equitalia 2018 amnesty, the beneficiaries can get a considerable discount on the amount of debt payment. According to the first calculations the savings can vary from 30% to 40 %, depending on the type of penalty applied, the tax omitted and the amount of old debt. For more information, come and ask for a free consultancy at our office. 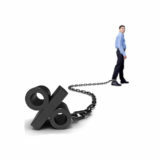 Our professionals are ready to find the right solution to your problem and explain you the benefits that you can gain through the new cancellation of interest rates. Do your debts oppress you? Find out how we can help you. FREE Pre-analysis. Anatocism and usury. FREE Pre-analysis.